The Learning Disability England board is made up of trustees/directors. The Board makes sure Learning Disability England does a good job. It is chosen by the Representative Body. Bernie is Deputy Chief Executive at Progress Housing Group which, amongst other things, provides supported living accommodation for around 3,000 people with learning disabilities around the country. 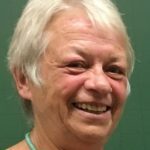 Bernie has around 30 years experience of working in general needs and supported housing and of providing advice and advocacy services for those in housing need. Debbie Neill Debbie Neill is Director of Support for Advance UK. 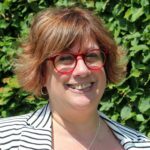 Debbie has over 20 years experience working in health and social care, firstly in commissioning roles with Huntingdonshire PCT and Cambridgeshire County Council before moving into the private sector in 2003. Debbie’s area of interest and experience was the commissioning and delivery of community based services for adults and children with disabilities. She has been a trustee of Crossroads and a voluntary non-executive director for a not for profit organisation which provides social care support for adults with learning difficulties. Debbie has always held a strong interest in ensuring people are able to access community services regardless of their ability. As Managing Director of Careforce, Debbie played an instrumental role in the successful floatation of the company on the Alternative Investment Market (AIM) of the London Stock Exchange. Debbie then led the growth and development of the business taking it from 24 to 52 branches through acquisition, successful tender bids and organic growth. She has held 2 other director roles in large support organisations. Helen Shields Currently Business Manager for Bromford Support (the support arm of Bromford Housing Group) employing more than 500 people and supporting many different client groups. 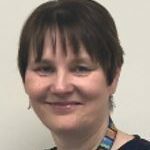 During her 20 year career in supported housing Helen has mainly been involved in the development and management of housing schemes for people with Learning Disabilities, including shared ownership and a financial advocacy service for vulnerable people. Helen also has wide experience of developing and managing Extra Care housing for the elderly. Jan Wamsley Jan Walmsley is a self employed academic. Her particular interests are inclusive research, self advocacy, and the history of learning disabilities. In 1994 she co-founded the Social History of Learning Disability Research Group at the Open University which pioneered inclusive approaches to recording and sharing the history of learning disability - the Group celebrates its 25th Anniversary in 2019. Jan also coordinated the LDE Academics. Paula Braynion Paula has been MD with Future Directions since it was founded. Previously worked as Director of Operations, Deputy Chief Executive and Director of Nursing in the NHS. Paula is passionate about ensuring Future Directions is a values led organisation and these values are lived out at every level of the organisation. Paula believes that living out the values will make a real positive difference to peoples lives. Worked as a Nurse Therapist and Nurse Consultant in medium and low secure care for a number of years. Moved to Pennine Care as Deputy Director of Nursing and was appointed as Service Director, Specialist Services in rehabilitation and high support, CAMHS and drug and alcohol services in 2007. LDE Chair Sarah is Learning Disability England’s Chairperson. She is also Chief Executive at Choice Support. Choice Support supports nearly 2,500 people with learning disabilities and other social care support needs. Sarah has worked with people with learning disabilities for almost 30 years. Her work began supporting people to move out of long stay institutions in the 1980’s. Sarah has been a training manager, an Operations Director and the Director of Quality and Safeguarding for Choice Support. Sarah is part of the steering committee for the Driving up Quality Alliance and a founder Board member of the Association of Quality Checkers. Troy Jones Troy is a Commissioner at Kent County Council. He works as part of a team to plan, purchase and monitor social care services. He has worked for over thirty years to try to make support services better for people.